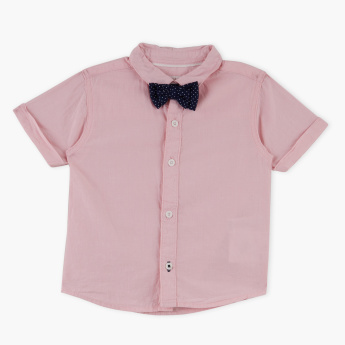 Dress your kid in this appealing shirt and lend him a dapper look. The bright tone and the contrast-coloured bow tie indeed makes it an ideal pick. It can be paired with jeans or trousers.